Narcissism, Machiavellianism and Psychopathy represent the three Dark Triad traits. Described as a dynamic, complex phenomenon, the study of personality in twins (monozygotic and dizygotic) has shown that around 40% to 50% of our personality is genetically heritable while the remainder is learned from experiencing life events and the role models around us. Adding to the mix, emerging research in the field of epigenetics has found that significant life events can change our DNA, which in turn can affect our personality (and mental wellbeing). Altogether, these bring the realisation that rather than being static, as was originally thought, aspects of personality are fluid, they interact with environmental/situational factors and they can be modified through experience and learning. This article simply intends to increase awareness of personality, traits and interactions because even that can have a positive impact for many. Personality is expressed in terms of bright and dark traits where bright traits are typically associated with positive, pro-social behaviours and dark traits are associated with negative, anti-social behaviours. Since personality traits manifest themselves in terms of specific behavioural characteristics, understanding an individual’s trait makeup allows assumptions to be made about their typical behavioural tendencies. This is a significant source of competitive advantage in a work context and it is the main reason for much of the research into personality traits and workplace outcomes to date. All personality traits present themselves on a broad spectrum. At their extremes, traits may manifest as some form of (observable) maladaptive behaviour. In the case of the Dark Triad traits (narcissism, Machiavellianism and psychopathy), the extreme of these traits is identified clinically as a personality disorder. Consequently, much of what is currently known about these dark traits originates from the study of the relatively small clinical populations, reported to be about 1% of the general population. In seeking to understand the reasons for the numerous scandals and examples of destructive behaviour in modern corporations, organisational researchers have discovered that these dark traits also exist on a spectrum in the sub-clinical (normal) population. The Corporate Psychopath is an example. However, this realisation has also revealed an ethical dilemma because the clinical origin of these dark personality traits can lead to misconceptions that unfairly stigmatise individuals and result in unjustified discrimination. Therein lies the problem. Although narcissism and psychopathy share a label and are the same species at both the clinical and sub-clinical levels, they are no more similar than lions and domestic cats. We should therefore be cautious about mislabelling people and about what we conclude from articles referring to ‘Toxic Workplace Behaviours’. Although such articles intend to shine a light on the problem of undesirable workplace behaviours, they do little to advance understanding of the causes of such behaviours – and there’s not point stigmatising somebody for behaviours that can be modified! Neither is the situation clear cut or simple. Despite the associated stigma, dark triad traits are not all bad, or undesirable. Dark traits also have a bright side, in fact, some of the most successful individuals on the planet would score highly on the dark triad scales and they owe their successes (and high profile failures) to their personality. After twenty years of professional interest including five years of intensive doctoral research, I’ve come to the opinion that there is a general lack of understanding of personality and what knowledge we do have isn’t widely shared with those that could benefit from it the most. Given the significant potential benefit such knowledge can bring in the workplace and more generally, it’s hard to imagine another broad area of research that has more potential impact and opportunity for good. Realising this opportunity is also becoming more important from a corporate perspective because the competitive context in which organisations operate means that they have to rely increasingly on individual’s self-regulated behaviours. An example of this is the trend in reducing hierarchies by flattening organisational structures, a trend that wholly relies on self-management and highly developed pro-social behaviours needed to support problem solving and coordination. In contrast, the tendency to simply remove individuals with challenging behaviours from the workforce, or to try to solve behavioural problems by creating onerous bureaucratic frameworks of rules, policies and performance management practices, is both inefficient and ineffective. Populations in western economies are both declining and ageing which diminishes the potential labour pool so removing well trained employees that don’t fit a model of ideal behaviours will become unattractive. In any event, the kind of individuals specifically targeted by such bureaucratic systems, i.e. those typically scoring highly on the dark triad traits, are unlikely to change their behaviour in isolation of other meaningful situational constraints, such as strong social exchange relationships with supervisors and colleagues. That, perhaps, is one of the reasons we keep having corporate scandals and probably always will. Whatever you think about the current corporate climate, to change the status quo we’ll need to try something new. Although the study of personality isn’t new, its development has been muted and it needs to be invigorated where it can do most good, the workplace. A decade of technological development has resulted in a universal decline in productivity. In the same timeframe, management researchers have reported a dramatic increase in the prevalence and strength of all of the dark triad traits compared with twenty-five years ago. This, they say, is because western society is far more competitive and materialistic than it was in the past and the behaviours associated with these dark traits are required in order to be successful. At the same time, the prominence of reality TV and development of social media provides everybody with a platform to express themselves, become performers, or be part of a viewing audience. We have become more psychopathic, more narcissistic and more Machiavellian because today’s competitive environment requires it, the smart phone in our pocket enables it; and, for some, reality TV normalises examples of maladjusted behaviour by creating role models of the participants who subsequently become media celebrities thus reinforcing the message that such behaviours result in success. The malleability of trait related behaviours and the consequence of this disturbing trend makes it an imperative that we develop our understanding of personality, otherwise the current trajectory will result in increasingly destructive and more prevalent maladaptive behaviours, more personality disorders and more mental health issues (i.e. narcissistic personality disorder, anxiety and depression are already reported to epidemic among American youths). We need more research of personality and the knowledge that we already have needs to be shared with those that can benefit from it. A broad spectrum of initiatives are required, including the proactive engagement of corporations in empirical research of personality so our understanding can advance more rapidly. There is a payback. In return, corporations can expect to benefit from unlocking organisation design innovations that are currently beyond their reach, they can expect to improve the management of risk by creating ethical, inclusive cultures that neither unreasonably discriminate against individual differences, or rely on costly and largely ineffective bureaucracy; further, they can also expect to positively impact the motivation of their people, build trust and reduce the costs associated with unproductive conflict, loss of social cohesion and the failure of social relationships that result. These are extraordinary times. Times marred by: corruption in politics, public displays of moral delinquency, politicking that paralyses the processes of government; unacceptable risk taking within financial institutions that jeopardises the economic wellbeing of all; rising prison populations around the world; inappropriate behaviours within organisations, such as the global retail chains that abuse their supplier relationships, questionable management behaviours leading to infamous monikers like ‘Fred the Shred’, or man management practices like the ‘Hairdryer treatment’, etc. Perhaps most disturbing, deepening inequalities and declining social cohesion that are creating wholesale disaffection with ‘The Establishment’. It’s hard to avoid a view that TRUST is universally in decline when every misdeed falls under the spotlight of the digital media, further reinforcing distrust and hardening attitudes. But, what does this have to do with Personality? Life experiences colour our perception but the makeup of our personality traits influences how we think, feel, act; and how we develop and maintain relationships in different situations: whether these relationships are with other individuals (42% of marriages fail), or within the organisations we work for (85% of employees have to deal with workplace conflict), and/or the society we live in, with its complex social structures and framework of norms and rules that require our compliance as members. People are front and centre of these events, organisational performance and relationship outcomes. It is their behaviours that determine whether these will be positive or negative, desired or detrimental. People create laws, rules and policies for corporate governance, social responsibility, etc. People define corporate culture with their behaviours; they decide the extent to which they will comply with the laws, rules and policies created by others, their behaviours determine if outcomes align with corporate goals and if they individually and collectively will have successful, enduring, cohesive, social relationships. It is personality that underpins human behaviour and individual’s differences in personality that results in the infinite variety of behaviours that make us human. If we want a different world, we have to start by looking in the mirror. Even if we you don’t like what we see, we now know that we can change it – if we know how and we want to. Despite the rich history of classifying personality in context of behaviours and work place outcomes, the practice of personality assessment has yet to deliver the potential that makes the proposition so compelling. Unfortunately there are many and complex reasons for this, some of the more prominent being the unreliability of self-reporting as a personality assessment tool and the reluctance of organisations to participate in empirical research. This forces researchers to find compromises and collect data from potentially unrepresentative populations, such as students, prisoners and clinical populations. Consequently, the progress of understanding of personality is slower than it might be – you can’t generalise conclusions from an unrepresentative sample! This requires more studies over a longer period which in turn mutes the interest of an audience that expects instant solutions and results. This is the unfortunate paradox between management research and management practice; those that have the knowledge aren’t in a position to put it into practice while those in practice need the knowledge but don’t have it – so they make do and argue against the need for further research. This is a shame and a missed opportunity. The increased prominence of knowledge workers, rise of service industries and flattening, global, corporate structures makes organisations, and society generally, ever more reliant on individual behaviours. In contrast, the apparent willingness of political and organisational leaders to ignore the most important aspect (personality) of their greatest asset (people) needs to be addressed. Rather than developing understanding of the causes of undesirable behaviour, each successive scandal results in more legislation and ever more onerous corporate policies that merely add bureaucracy while leaving outcomes unchanged. This preoccupation with treating the effects rather than addressing the cause is puzzling. If politicians, shareholders and CxOs are genuinely concerned about the declining global trends in productivity, which comes despite all of the investment in technology, process automation, reorganisation and cost cutting, perhaps its time to ask if they know their people and their people know themselves – well enough. The study of personality traits made a great leap forward with the validation of The Big Five model. This model assesses each of the traits: conscientiousness, extraversion, agreeableness, emotional stability (neuroticism) and openness to experience on a scale. It is the most commonly used model of personality because it provides a baseline against which a variety of important organisational outcomes, such as: leadership, performance, cohesion, counter-productive work behaviour, etc., might be assessed. Even so, the Big Five model is not without challenges of its own, i.e. it’s not popular with practitioners, consistently small correlations have led to sometimes ambiguous conclusions, it can be difficult to translate into meaningful practical terms; and, perhaps most significant of all, personality traits are considerably more complex and dynamic than the model suggests (which is the point of creating models – to try to explain things that are complex). New explanatory theories are being developed to address some of the more prominent issues, i.e. the highly variable contextual environments found in organisations are thought to be the reason for the inconsistency in some studies. Theories such as Trait Interaction and Trait Activation were developed, both of which have advanced understanding and led to ever more complex studies by considering control variables, mediating and moderating effects. Trait interaction theory simply states that personality and the situational environment play key roles in influencing individual behaviour. Early interaction research focused on the relative influence of personality compared with the strength of a situation in determining behaviour. In strong situations where behaviour is constrained either implicitly or explicitly, everybody will behave in the same way regardless of their unique personalities. In contrast, in weak situations where there are few (or no) situational constraints, an individual’s behaviour is more likely to reflect their unique personality. Therefore, weaksituations tend to have little influence over behaviour which typically reflects the individual’s personality traits; bearing in mind that trait expression is observed in overt behaviours that either contribute positively to performance, are irrelevant to performance, or are counter-productive. Reciprocal Social Exchange is an example of a strong situational factor but what does this mean in practice? Think about a situation where you are entering into a new relationship, e.g. meeting a new boss, new colleagues in a new job, or somebody that is somehow important like a new romantic partner. Now think about the way you behave in that situation. Typically people don’t behave as naturally as they might when they know somebody really well; you are socially inhibited, careful about what you say and how you say it; you are supportive, empathetic and attentive to their body language and reactions. In other words, you show them your best side and that means tuning out some aspects of your behaviours that might be more reflective of your personality (e.g. a raging extravert would rein in their behaviour, an introvert would be more chatty, etc). So what happens as the relationship matures, with time and experience? ⇒ If the relationship is satisfying and rewarding to you, you continue to make every effort to avoid negative events. You try hard and make compromises about things that are important to you because you expect to get the same response in return. For example, if you tend to be narcissistic, you will try to be less selfish (and less everything else that characterises narcissism) because it presents a risk to the relationship. The relationship continues to develop and it endures for as long as the reciprocal social exchange relationship remains. So, this situational factor, reciprocal social exchange, interacts with your personality to modify your behaviours which in turn interact with the behaviours of the other person in the relationship. ⇒ Conversely, if the satisfaction you get from your relationship declines as time goes by, i.e. the other person (or company) stops being supportive, or stops doing all the things they did previously that pleased you and motivated you to respond in kind; the situation will become weaker and your behaviours will shift and reflect your personality – because weak situational constraint result in your inherent trait behaviours being expressed rather than the modified version resulting form social exchange. This is often why, when relationships break down, both sides claim the other side had ‘changed’, or is not the same person they were when you first met. In the workplace such situational responses could be: the perception of unfair treatment or lack of organisational justice, missed opportunities for promotion, loss of status or rewards leading to a motivational decline and resulting in deteriorating performance/commitment/motivation/effort, etc. When reciprocity ceases, social exchange relationships decline and behaviours will reflect personality. Interactions between people and the environment are reciprocal in that situations influence individual’s behaviours and individual’s behaviour influences the environment. Forming a negative opinion about an individual who has scored highly for say disagreeableness, or neuroticism, is unwarranted unless you ignore the fact that the individual will flex their behaviour depending on a large variety of circumstances, such as: a strong relationship with their supervisor or team mates, if there are important aspects about their job, e.g. high job satisfaction, status, reward, opportunities for learning and advancement, the importance of the job to the individual, availability of alternative jobs, and/or the interplay of other situational factors more personal to the individual, such as stress levels, health, etc. It’s inappropriate to draw conclusions about the potential future behaviours of individuals whose traits you’ve identified through assessment if the assessment method is valid and you also have some understanding of how those traits will interact with interdependent environmental/situational factors. Trait Activation theory builds on earlier theories of motivation by stating that in order for personality traits to be expressed in a behaviour, environmental situations must be trait relevant. In other words, trait-relevant cues within environmental situations activate traits which are then expressed as pertinent behaviours. Since trait relevant differences among situations influence the expression of traits as behaviours, a trait that is present will remain dormant (i.e. it won’t be expressed as a behaviour) unless the situation stimulates it – which is what makes the behaviour predictable. But, what does this actually mean in practice? A salesperson attending a business event that’s also attended by lots of potential clients. The event provides the salesperson with the opportunity to express the extraverted behaviours necessary to socialise and establish client relationships. In response, an extraverted salesperson would be motivated to be sociable – so trait extraversion is activated by the environment providing opportunities to be sociable. If there was nobody for the salesperson to be sociable with, the trait cannot be activated. Clearly this has a significant consequence for extraverts that work in isolation because if a high extravert doesn’t have an opportunity to express the trait they will become dissatisfied and may resort to counterproductive or destructive behaviours. Therefore, simply considering personality in isolation of situational variables is pointless. Making meaningful predictions about behaviours requires the consideration of both personality and situational characteristics within the environment. The Big Five model has typically been used to assess bright personality traits in a positive context, e.g. which personality traits improve performance, make better leaders, etc… However, bright traits can also have a dark side at their extremes, in the manner in which they interact with each other and with other situational variables. ⇒ Highly conscientious individuals are typically very focussed on completing task goals and getting the job done but, conversely, they are also prone to being inflexible and intolerant of change. ⇒ Teams where the degree of conscientiousness varies between individuals are mired with dissatisfaction, conflict, and loss of social cohesion. In a team with highly conscientious individuals working alongside individuals with low conscientiousness will stimulate aspects of moral disengagement, such as shirking and free-riding, as everybody looks to everybody else to take up the slack – which results in a wholesale decline in productivity. ⇒ Individuals that are highly conscientious but low in openness to experience will be slow to absorb learning and development (and they may even be resistant to anything that challenges the status quo). ⇒ Individuals that are highly conscientious will be dedicated and task focused regardless of the team climate and relationships with supervisors and colleagues. Individuals that are low in trait conscientiousness will behave as though they are a highly conscientious if they have strong and meaningful exchange relationships with their boss and their colleagues. However, individuals that are low in conscientiousness will behave according to their trait level if the team climate and relationships are poor. Over a period of time this will affect the entire team. Optimal situation – teams of individuals that are similar to each other, i.e. everyone has as close to the same level of conscientiousness as practical, preferably all slightly better than moderately conscientious, i.e. generally conscientious but not too conscientious and definitely not unconscientious. Also, the environmental situation, e.g. the team context, must be mutually supportive and positive so there are strong exchange relationships with leaders and coworkers. ⇒ High extraversion is great for developing large social networks of superficial relationships and initiating social interaction, but the negative characteristics of high extraversion undermine relationships as time goes by since extraverts are highly political and more concerned with the social aspects of organisational life than they are in getting the job done. ⇒ Having multiple high extraverts in a team creates a very sociable environment but high extraverts are prone to organisational politics and conflict which destroys social cohesion as time goes by. This is the dark side of extraversion. ⇒ Low extraversion, known as introversion, results in individuals that are socially awkward and have fewer but deeper relationships. However, they also tend to be more considered and analytical which is a significant asset with team working. The strength of their relationships provides them with leverage and having fewer relationship to maintain is less personally demanding. ⇒ A team of high extraverts and high introverts are unlikely to be cohesive and the quality of communication and engagement would be very poor – they are too different and make each other uncomfortable. Optimal situation – teams that have a diverse distribution of the trait and very few highly extraverted members. The rest should ideally be moderately extravert. ⇒ Low trait agreeableness (disagreeableness) is a problem for organisations in a team context – reflecting the adage ‘one bad apple spoils the barrel’. This is the dark side of agreeableness. Extremely low agreeableness destroys team cohesion through conflict and unproductive tensions and yet, in high stress situations where difficult decisions are required to be made quickly, these individuals may perform well in the short term – although they’ll make few friends while they are doing it! ⇒ Individuals that are low in trait agreeableness (disagreeable) will behave as though they are a highly agreeable if they have strong and meaningful exchange relationships with their boss and their colleagues. However, individuals that are disagreeable will behave consistent with the trait if the team climate and relationships are poor. Over a period of time this will affect the entire team. Optimal situation – teams made up of individuals who are all moderately agreeable or slightly better, generally no individuals who are disagreeable or highly agreeable. As before, the environmental situation, e.g. the team context, must be mutually supportive and positive so there are strong exchange relationships with leaders and coworkers to motivate agreeable behaviour and impulse control. ⇒ High emotional stability results in individuals that are completely unfazed by the pressures and stresses of modern organisations. They are not prone to outbursts of emotion and typically just get on with the job without creating drama. On the other hand, high emotional stability manifests as a lack of empathy and appropriate emotional response. This is unhelpful in developing social relationships as it is perceived as lacking empathy or having an icy cold demeanour. ⇒ Low emotional stability (known as neuroticism) is disruptive to organisation functioning as it tends to manifest in terms of high anxiety, endless complaints, dissatisfactions and high drama. Nothing is right for a neurotic individual, they are prone to absence and sometimes lack productivity. On the other hand, the natural anxiety of neurotics means that they can be very task focussed and attentive to details and schedule. There are many situations where having a worrier on the team is helpful. Optimal situation – in a team setting, generally a team made up of individuals who have better than moderate levels of emotional stability across team members. Teams can benefit from the calming influence of individuals with high emotional stability in stressful environments and the natural anxiety and environmental scanning characteristics of the neurotic is helpful in stable environments. ⇒ Individuals high in openness are highly engaged in learning and trying new things, consequently they are innovative and spur teams on to experiment and change. On the other hand, high openness leads to individuals who are always looking for the next shiny and exciting thing so they are not necessarily focussed on goal achievement/task completion. ⇒ At the other end of the scale, individuals who are low in trait openness have fixed views about how things should be done, they dislike change and will typically be resistant to learning. On the other hand, with few distractions, individuals low in openness are focussed on task completion. Optimal situation – Much depends on the context. In environments that are rapidly changing and require considerable problem solving/creativity, the optimal mix would be many individuals scoring high in openness. In more stable environments, teams with just a few (one or two) individuals who are high openness with the balance of the team being moderately open. Narcissism, Machiavellianism and Psychopathy represent the three Dark Triad traits. Although these have been studied extensively from a clinical perspective, i.e. as personality disorders, there is little empirical research of these traits at the sub-clinical level in normal populations – such as we might find in the workplace. This is despite the fact that such research has much to offer individuals and organisations alike in terms of understanding the behaviours relating to the development of social relationships and performance outcomes. Regrettably, the stigma associated with these traits makes it difficult to secure participation in research and presents ethical challenges, since misunderstandings/misconceptions of these dark traits creates the risk of unwarranted discrimination, both in recruitment selection and inappropriate performance management. Nobody wants to be labelled a psychopath, but this is only part of the story. Although clinical and sub-clinical expressions of psychopathy share a label and belong to the same species, they are no more similar that a lion and a domestic cat. The unfortunate consequence of these misconceptions is that we understand the least about some of the most important and potentially destructive aspects of our behaviour. These traits lie at the heart of the high profile corporate scandals; they are responsible for the deficiencies in corporate governance and social responsibility, performance failures, and breakdowns in relationships that are so personally and professionally damaging. Similarly, understanding how these traits compile and aggregate at the organisational level will do more to help us understand and transform corporate culture than almost any other approach. If we are serious about having inclusive, ethical, corporate cultures, we have to start by understanding the causes of the behaviours we’d like to avoid or change. Legislating against undesirable behaviours will do little to change the status quo, especially with high narcs, machs and psychopaths, all of whom care little for attempts to define culture, rules, structure. Neither do they respect the norms of reciprocity that make social relationships work. – Most individuals (and organisations) possess some level of narcissism that colours their perceptions and determines their behaviours. At the sub-clinical level, high trait narcissists (high narcs) are described as being: proud, arrogant, cocky, highly self-centred, controlling, duplicitous, and hyper sensitive to criticism; they have a high sense of entitlement, seek status and prestige, feel superior to others and have an inflated view of themselves. They lack empathy and are exhibitionist, exploitative and have dominant personalities. Narcissists are boastful and are prone to exaggerating their achievements; they block feedback, refuse compromise and tend to only pursue interpersonal and romantic relationships with individuals that provide them with the admiration they crave. Consequently narcissists tend to engage in a lot of short term relationships (hook ups). Since high narcs are primarily concerned with displaying and acknowledging their own talent and brilliance, they desire praise, admiration and recognition to the exclusion of all others. The self-aggrandising ego trip is the trademark of the narcissist. They lack human values, fantasise about control, unlimited and unrealistic levels of success and admiration. Being self-serving, narcissists make decisions based purely on self-interest rather than in the interests of their organisations, colleagues, or other important stakeholder relationships. High narcs are also associated with aggression and they will typically either ignore negative feedback, or respond to it aggressively. However, if egos are threatened, or if they are publicly censured or criticised, they are likely to get into a rage as they lack impulse control. – is the name of a ruthless and selfish approach to management originally advocated by Niccolo Machiavelli. The trait of Machiavellianism came to the attention of management researchers when Christie and Geis published a personality scale based on Machiavelli’s ideas. Of the three dark traits, Machiavellianism is the only trait that is not also a clinical disorder, even in its extreme and the high trait form is referred to as high mach. High maths are critical, they endorse a negative view of others and are more likely to make ethically suspect choices. They consider themselves skilful manipulators but if their overall emotional intelligence is not as strong as they believe it to be, their actual skill will not match their self-image. High machs are observant and very aware of their surroundings; they are cunning, calculative, intelligent and relatively successful in their careers, particularly if they work in unstructured and/or less organised settings – such as environments undergoing cycles of transformative change. However, as organisational structure increases their personal success tends to decrease. High narcs are not necessarily disliked by others but neither are they exceptionally successful when politicking [because their motives become transparent and this corrodes trust]. While high machs are more likely to cheat, lie, and betray others if it gives them an advantage, they also tend to avoid regular or extreme forms of anti-social behaviour. Narcissism is described as a strategy involving social manipulation for personal gain but unlike psychopaths, high maths are not devoid of conscience. However, they are similar to psychopaths in that they pursue strategies that promote self-interest, use deception, flattery and emotional detachment to manipulate and exploit social and interpersonal relationships to their own benefit. – Like narcissism, psychopathy was originally considered a clinical disorder (antisocial personality disorder), but it too has been recognised to exist on the clinical and sub-clinical spectrum. At the sub-clinical level, high trait psychopathy is characterised by a lack of empathy and concern for other people, social regulatory mechanisms and social norms. Psychopaths are generally bad tempered, highly impulsive and completely devoid of conscience, guilt, or remorse when their behaviours are harmful/detrimental to others. 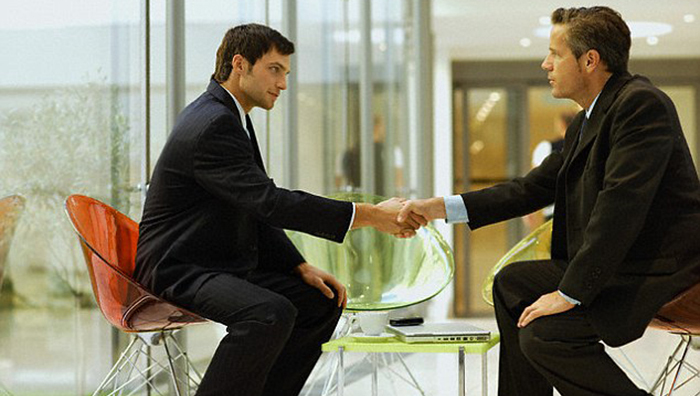 Interpersonally, high psychs are skilled impression managers who are slick, charismatic and superficially charming. Emotionally superficial, they tend to adopt parasitic lifestyles and will engage in criminal behaviour to achieve their ends. They employ high levels of deception, manipulation and are described as being crafty. However, they also tend to have an inflated view of their abilities and this creates the likelihood that their true nature will be noticed. Not all psychopaths are in prison. Misinformation and confusion in the media have created a misconception of psychopathy in the general public. This is more evident still with business professionals who see even less relevance of psychopathy to their daily interactions with colleagues in the workplace. Even so, psychologists have come to recognise that some psychopaths have good impulse control. They are not prone to outbursts of spontaneous, violent, criminal behaviour and they function successfully and exist in society relatively undetected. Such individuals have more recently been referred to as Corporate Psychopaths and they are thought to have certain behavioural advantages over individuals that score lower on the psychopathic scale. Corporate psychopaths are reportedly the product of the modern corporation where the rate of change, high turnover of staff and limited selection processes ignore their negative traits and allow them to advance to the most senior positions. Despite the fact that psychopathy has been identified as the most destructive of the dark triad traits, little is known about how many psychopaths exist in society (and therefore the workplace) and there are very few studies into the sub-clinical populations of high functioning psychopaths. Some think psychopaths represent about one percent of the general population, others say that as many as three million employers and employees could be classified as psychopathic, other studies have found that between 3.5% to 4% of top executives were psychopathic, yet others report that corporate psychopaths lie in the range of 5% to 15% of the workforce. As discussed above, relationships in the workplace are generally based on reciprocity – I’ll work hard, be reliable, go the extra mile and support you in return for you paying me a fair salary, treating me fairly, recognising my achievements and reward me with bonus and promotions. This is referred to as Social Exchange. We shouldn’t simply consider dark traits negatively despite the fact that high expressions of any of these traits can be destructive and have consequences well beyond the actions of an individual. Just as reciprocal exchange relationship influence behavioural responses with the Big Five traits, they also influence behaviours in dark traits – otherwise high narcs, machs and psychs would never be able to form a relationship with anyone. However, individuals scoring highly on dark triad traits require stronger situational cues to motivate them to respect reciprocal exchange relationships and this makes them volatile. in absence of a strong situation, individuals with high dark traits would otherwise be predisposed to ignore or undermine reciprocal exchange, because these individuals are inherently: disagreeable, disruptive, lacking in emotional commitment to others, overlook their obligations and ignore the very ideal of reciprocity. For example: because high machs are typically distrusting they are unlikely to believe that putting any extra effort into their job will be rewarded; because narcissists believe they are superior to their colleagues, they don’t believe the social rules pertaining to reciprocity and obligation apply to them; and, the complete insensitivity of psychopaths means that they are unlikely to behave in ways that are pleasing to their colleagues, such as being supportive or generally helping to make life better – unless doing so benefits them directly. ⇒ Develop intelligent learning and development, performance management and recognition and reward systems. ⇒ Increase the reliability of cultural transformation. ⇒ Avoid some of the negative behaviours that we currently simply label as toxic because we don’t understand them sufficiently to call them anything else. Repeating the point, the Dark Triad traits may be the same species at the clinical and sub-clinical levels but they are as different as lions and domestic cats. ⇒ Avoid stigmatising and inappropriately discriminating against behaviours through misconception, thereby reducing inappropriate bias and increasing the likelihood of transparency. Scoring highly on any dark traits doesn’t necessarily result in destructive workplace behaviours because the behaviours that are ultimately displayed will depend on a number of other situational factors – see trait interaction and trait activation. ⇒ Identify the trait makeup of psychopathic leaders will enable the opportunity to develop their inherent strengths while appropriately supporting their weaknesses – and managing resulting risks. ⇒ Understanding the aggregate trait make up at an organisational level will help define corporate cultures in more meaningful terms, while making cultural modification more reliable and sustainable. ⇒ Understanding at what point these traits actually matter and also understating the situations factors that constrain behaviours. In other words, how dark is dark and under what conditions do high functioning individuals that score high on these dark traits lose their ability to manage the negative behaviours expressed with these traits. ⇒ Ensure that we embed appropriate situational variables within our organisational designs to motivate the desired behaviours – without the need for excessive bureaucracy and unnecessary supervision that is constraining organisation development, inflating costs, driving performance failure, or resulting in conflict/relationship failures. It may be idealistic to think that individuals and the organisations in which they work, will be able to manage the vast complexity associated with their dynamically interdependent personalities but, the continuing development: research methods, inferential statistical techniques, Big Data, Predictive Analytics, Cognitive Bias Modification; technologies like facial recognition, apps, ‘wearable tech’ and the field of epigenetics will, in time, help to bridge the knowledge gap. In the mean time, sharing what we know to improve understanding of personality provides opportunities for increased self-management and self-awareness. I can’t imagine any circumstance where this isn’t a good thing, whether it’s in your personal life, or in a professional context. Thank you for reading my post, please feel free to share with others. If you would like to read more on the subjects of personality and virtual teams please Follow Me on Linkedin.